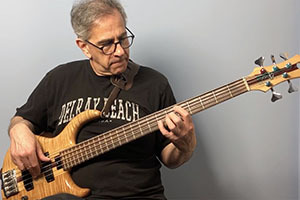 Multi-talented all-around musician talks about his experiences with Jaco Pastorius, Jeff Berlin, Monk Montgomery and Percy Jones — plus a whole lot more! Dann Glenn started his career in the 1970s as a rock musician and eventually became a serious jazz player and classical composer. 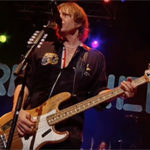 He has performed with blues guitarists Michael Bloomfield and Luther Tucker and has had close associations with bass luminaries Monk Montgomery and Jaco Pastorius. A prolific author and composer, Dann has released several books and CDs and has written six classical symphonies. 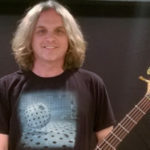 After forming, and ultimately leaving, BangTower, Glenn created the Eleven Eleven Orchestra, which features bass virtuosos Jeff Berlin and Baba Elefante and renowned drummer Ronnie Ciago. 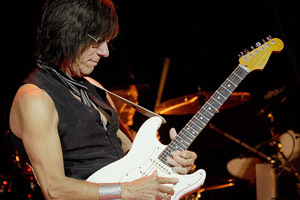 In 2011, Dann appeared in the motion picture Johnnie Be Good, alongside Eric Clapton, Buddy Guy, Paul Shaffer, Bo Diddley and other music icons. 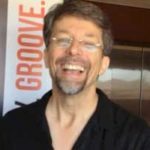 FBPO: Talk a little bit about your musical metamorphosis. You’ve played guitar, bass and piano, you’re an accomplished rock and jazz musician and a composer of symphonies. Can you identify an imaginary thread that weaves all those things together in some logical form? DG: My journey has been an amazing ride, Jon. The common thread, actually, was simply necessity, insomuch as the piano was mandatory for my orchestral music and the guitar was a mandatory four-year stint, due to a hand injury. The bass has been there for some thirty years now and not a day goes by that I don’t learn something new and wonderful on this always-evolving instrument. FBPO: Tell me about your accident and how it transformed your career. It’s great that you found a way to keep going! DG: Yes! Well, I had my left hand caught in a bass cab hand grip cavity when it toppled over, which resulted in a nasty injury and nerve damage. I was told I might not be able to play bass again, however, there was the outside possibility it would heal over time. I decided, rather than giving up during the best years of my career, I would simply have to play an instrument that was easier in terms of string pressure, et cetera. The guitar was the logical choice and, within a relatively short time, I was making headway. During this time I put out two albums and was pretty much accepting of the fact that I would never be able to play my beloved bass again. Then one day a bassist asked me to show him one of the passages I had written that was quite difficult. 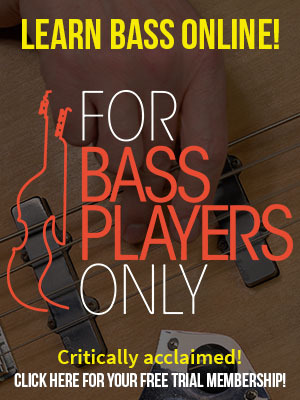 I reluctantly played the lines and gave the guy back his bass. After the session, it hit me: My hand didn’t hurt when I had played his bass! I went to the doctor and, lo and behold, my hand had regenerated new neuron pathways. After a few months of gentle practice I was finally back on my instrument. FBPO: Throughout the course of your career, you have associated with some real music legends. Tell me about your experience with Monk Montgomery, one of the true pioneers of the electric bass. 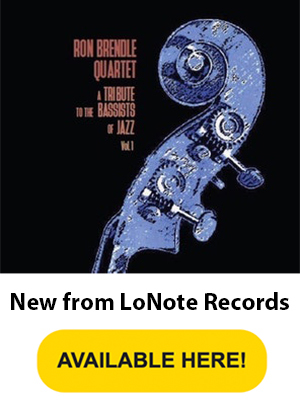 DG: Monk was my mentor and the first bass player to play the electric bass on a jazz recording (with Lionel Hampton). A kinder man did not walk the earth while Monk Montgomery was alive. When younger players start whining to me about having started playing later in their life, I remind them that Monk didn’t even begin playing until he was thirty! He helped me tremendously by actually caring about my music and what became of it. FBPO: How about your relationship with Jaco? DG: For quite a few years, I told people I never met Jaco or didn’t know him because whenever people found out I did, they would start flinging their Jaco stories at me and it was really uncomfortable. I mean, don’t get me wrong, if there’s something to say about the man, it gets said. I just got burnt out on people going into overdrive, feeling compelled to slather me with their horrid, stupid stories, most of which were distorted to the point of being urban myth anyway. I’ve had many a conversation with Ingrid (Pastorius) about this very subject, and now of course we’ve unexpectedly just lost her. My head is still reeling over Ingrid’s sudden passing. Jaco was extremely supportive of my concepts in tonality and turned out to be a prophet. So far, everything he told me decades ago has transpired, from my becoming an orchestral composer to things that have nothing to do with me. I just had a serious conversation with Had (Hadrien) Feraud about this very subject, as a matter of fact. The subject matter was deeply personal, but the gist of the conversation was about Jaco’s prophetic nature. Bass players, of course, often put a little too much emphasis on Jaco’s revolutionary bass playing and not enough on his music. Jaco’s bass playing spoke for itself, but his music spoke for us all. FBPO: You’ve been lauded by the (often controversial!) Jeff Berlin for your views on music education. What’s your philosophy about that topic? DG: I appreciate Jeff giving me some props on this. 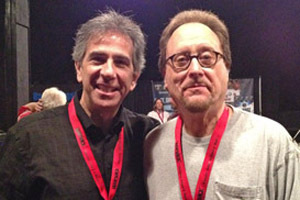 We’ve been very close friends for decades and we were both on the faculty at BIT in Hollywood. Jeff has been a star since he was in his twenties, so his concepts in music education were formed much earlier than mine. I was a late bloomer, having been wounded in the Vietnam War and getting into the mix much later in the game. 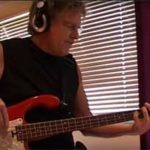 I went through the same grass drills that all of us bass players must endure, however I had to play catch-up, which meant constantly reevaluating my position on music education. Other than a few minor ramifications, Jeff has been consistent on his views from the very beginning. After a few years passed, it started to sink in that Jeff was actually trying to make things easier and much more successful for students by separating academia and art. After immersing myself in musical content, i.e., chord tones, trombone etudes, orchestration et cetera, it was glaringly obvious to me that the current state of music education in America is in trouble, not to mention that the entire state of education in America is unacceptable. We need a serious overhaul in the way we educate our young. Jeff and I feel strongly that if you are going to take money from someone for music lessons, they should actually receive musical content, rather than being entertained, stroked and ultimately misinformed. FBPO: What’s the BangTower story? Did you collaborate with Percy Jones? DG: This is a band I started with Percy quite some time ago. I was in a band in LA with Brand X guitarist John Goodsall and one day there’s a knock on my door. John walks in and says, “Dann, I’d like you to meet Percy Jones.” I’m standing there with my mouth hanging open and just instinctively handed Percy my bass. He looked at it and said, “Yeah, nice, Dann,” and handed it back to me. My wife Francoise was clearing her throat giving me the “You’re acting like a dork,” look! I finally got a grip and we became great friends and colleagues. BangTower was originally going to be a completely improvisational trio, however, as time went on, it started to take a much more “Prog” approach. I elected to leave, as I really wasn’t interested in songwriting and decided to form my next band. FBPO: Tell me about the Eleven Eleven Orchestra. DG: This band is now essentially a trio consisting of two bass players and a drummer. People hear this and immediately picture a “Look at me wankfest,” however, it’s nothing of the sort. 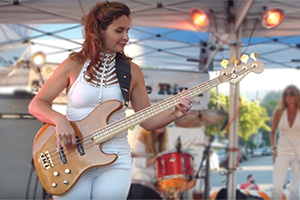 Fretless wonder Baba Elefante is the bassist in this band and I am the soloist. Not that Baba won’t solo, because he does and it’s amazing, however, I’m playing my LightWave Saber DGSL HexFX bass, which is 13-pin ready exclusively through the new Roland RG-55 guitar synth. I play my Saber strung as a tenor bass, A-D-G-C, and use the RG-55 in guitar mode. Roland took ten years redesigning their synth before they finally got it right. 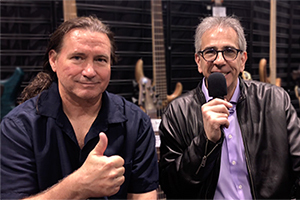 LightWave CEO Chris Willcox and I had a meeting with a Roland executive at the NAMM Show last January and I learned a lot. They actually built this thing to anticipate what you are going to play and the tracking issues are now a thing of the past. Couple this with our amazing drummer Ronnie Ciago and you get some very interesting textures! 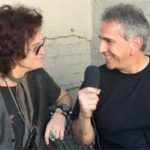 Ronnie is touring with Brand X this summer, speaking of Percy Jones! Jeff played on our first record and it’s been a blast so far. This band is largely extemporaneous and will grow as an organic entity, rather than just a jazz/fusion trio with a bunch of tunes to thrust at our audience. FBPO: How did you come up with that name, “Eleven Eleven”? What does it mean? DG: I used this name because I wanted people to ask the very question you just did. The concept of 11:11 is about the time of enlightenment, the Age of Aquarius. We no longer need revolution; we need evolution. 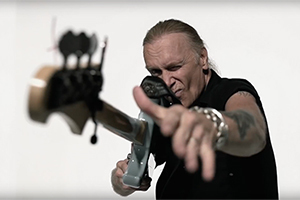 DG: We are about to shoot a video for LightWave that should be a lot of fun and very interesting for bass players, as Baba Elefante is also a Lightwave bass endorser, playing their Saber VL Fretless 5. After this, we will hit the bricks and tour the usual haunts and venues. I’m working with my friend Dave Hogerty to put together some dates in West Palm Beach at places like The Betty Hotel and at many of the festivals in South Florida. I’m also finishing my second novel, For Reasons Still Obscure, while my first novel, Almost A Proverb, has become an eBook, so that’s a nice development. I’m also recording my 22nd solo album, Become The Night, which will have a few special guests. The Eleven Eleven Orchestra will be recording our second album as well, which promises to rain zombie gummy bears from the sky! DG: You know, in all honesty, my life has been amazing. I always try and tell people to go after anything that really calls to them. I hear all kinds of excuses about not enough time and blah, blah, blah, but I am living proof one can accomplish many different experiences if you step up and walk the walk. For example, after 9/11, I felt the need to do something, you know, anything to help. While still maintaining my music career, I attended the Police Academy and was honored to spend five years as a law enforcement officer in my community. Let me tell you something, my friend, talk about a rush! I got my eyes opened to many things and found a new respect for myself as a human being by putting my life on the line to protect others. It was quite challenging and humbling to come home from a great tour where people were praising me to put on body armor and weaponry and go out into the ugly zone. I’ve formed bonds with some great folks who are my friends for life. So in a way, Jon, I’ve pretty much done everything I have ever aspired to do, long-term. Music is what I rise in the morning for. 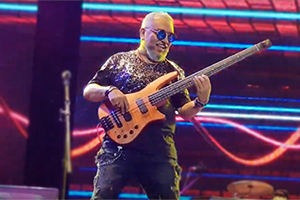 Music is so deep and we humans are so comparatively shallow, as my dear friend, the great guitarist Amit Chatterjee (Joe Zawinul) and I have concurred, it would take three lifetimes just to get it wrong. DG: I think most probably either a hired assassin or the Activities Director on a cruise ship.